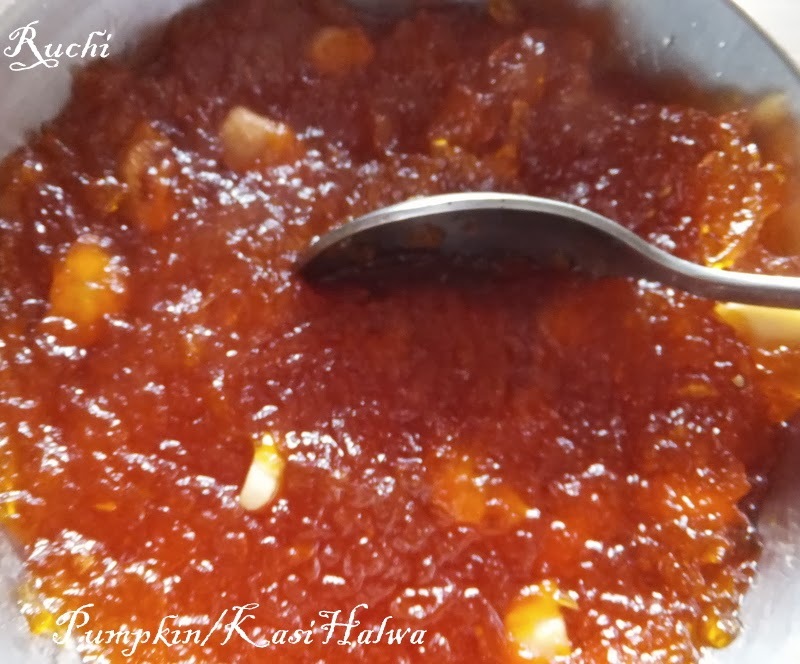 Kasi Halwa is a special sweet usually made on big occasions. 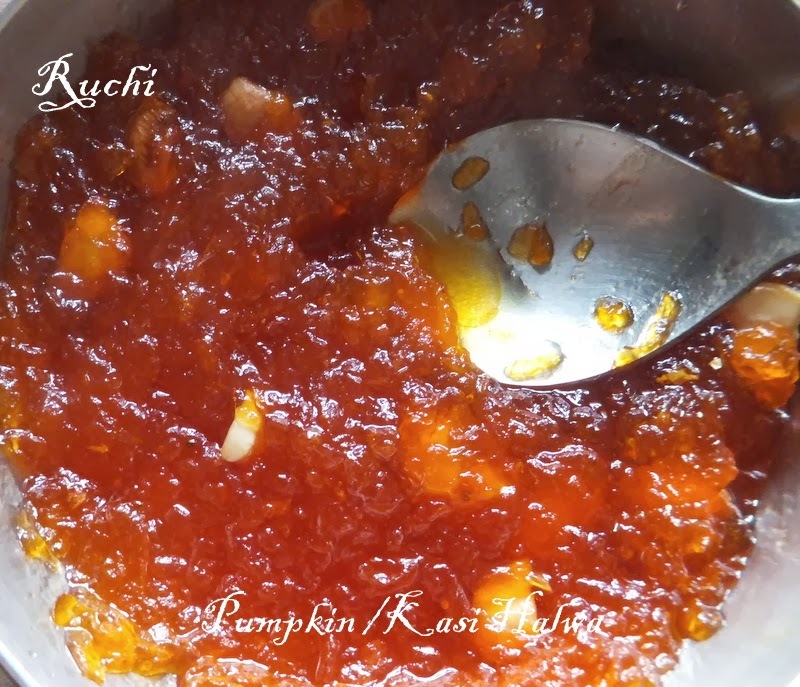 A delicious halwa made from white pumpkin. It is easier to make with fewer ingredients. This was the special I made for my son’s birthday today. 1.Peel and De-seed the pumpkin completely and grate the inner fleshy part. In a small wok, heat the ghee and add the cashews fry until they are golden in colour. 4. Once its fully done and comes to a consistency of halwa At this stage, add remaining ghee, roasted cashews, cardamom powder, edible camphor and give a quick stir. Switch off and serve hot/warm.